“By the stars, I’m in so much trouble.” — A short comic about being an alien and in love! My submission for the Archie x Riverdale doujinshi organized by Christine Wong! A South-Side Serpent who deserved better than he got dips his toes into zine culture. A two-colour riso-printed comic. 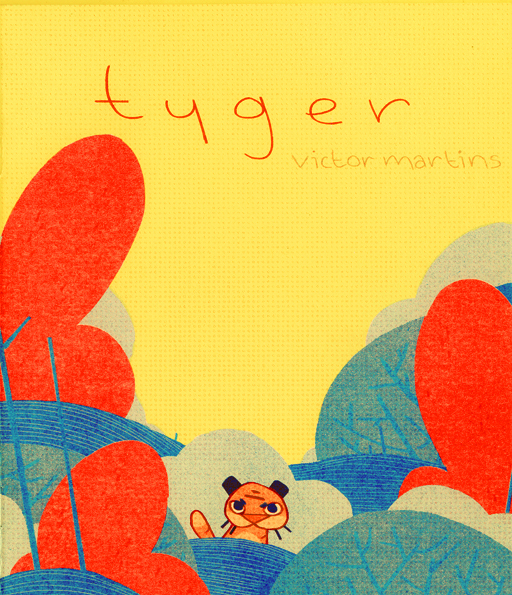 A tiny tyger learns some stuff, listens to a story and goes to sleep. My story for Doki Doki High 3! It's about being bad at math and in love. I am afraid of ending up like you. // A comic exploration of my relationship with my dad. An 8-page mini done as an exercise for Comic Making Club. Banana melodrama is good for heart health.